The flight from Saigon to Hanoi takes two hours. In late December, the journey will take you from t-shirt, shorts, and sandals weather to where you’ll need to pull on a sweater, scarf, and cap before venturing outside. I had never heard of Vietnamese wine. But there, in the hotel room in Hanoi, stood a bottle. Considering the upstairs restaurant sold wines from Bordeaux, Napa, Colchagua, and Stellenbosch that cost from between $22 and $56 a bottle, why would the hotel risk supplying a free local wine unless it was decent? I opened the bottle of 12 percent Dabeco ‘red wine,’ and tried it. This wine was a beautiful surprise. It is light, fruit full, and has the crispness you typically associate with a white wine. This is an Asian Beaujolais, a light and easy pre-dinner drink. The French began planting wine grapes here in the nineteenth century. What is the wine potential today? The climate is tropical, laden with hills that provide ample microclimates, and vitus vinifera vines thrive here. Not only that – growers can reap three grape harvests per year. In the same way that the waters of the Rhine River or the Finger Lakes moderate temperature extremes in adjacent vineyards in Germany and New York, the Mekong and Red rivers do the same here in Vietnam. And in the same way that breezes from the Pacific Ocean can moderate California’s coastal vineyard climate, the waters of the Golf of Tonkin do alike in Vietnam. 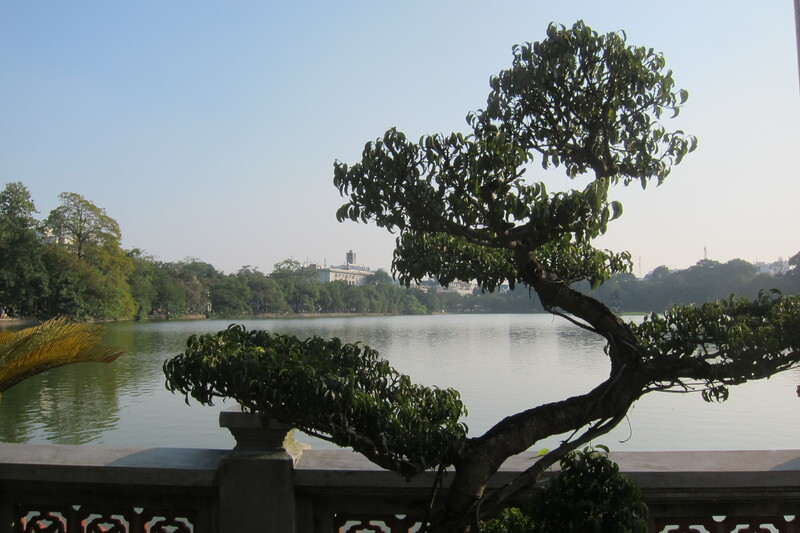 The climate of the north, around Hanoi, generally offers more favorable grape growing conditions than in the far south. Here, grapes are grown among the Ba Vi mountains. In the Central Region, they are grown within the Annamite Range, while in the south, grapes are planted along the coastal plain. Wine grapes can include Cardinal and Chambourcin. However, the website for Dabeco tells how Dabeco is made from French imported Grenache and Carignan grapes – typically used in the Languedoc region of southern France. These grapes are grown in the south of Vietnam in Ta Lat, which is about a six-hour drive north of Saigon. 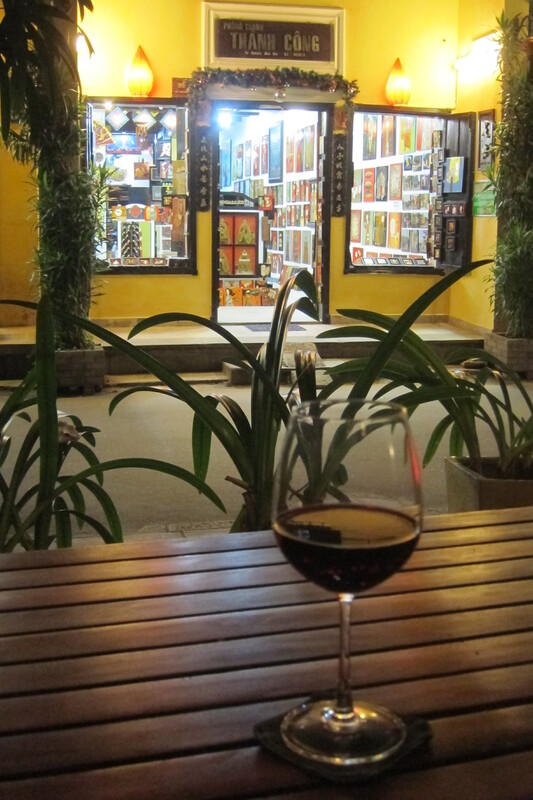 Imported grapes have produced an increasing quantity of decent Vietnamese table wines for the past two decades. 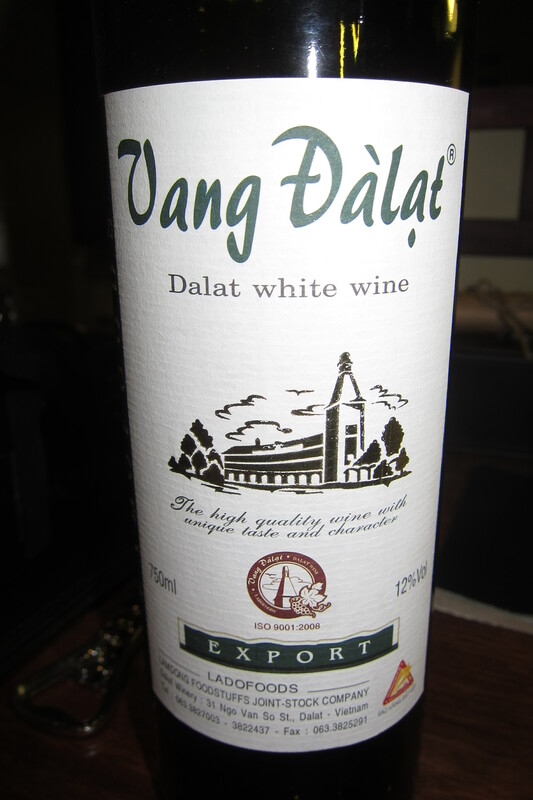 Vang Dalat produces wines from the Phan Rang grape growing region, about a two-hour drive south of the well known coastal resort region of Nha Trang, in central Vietnam. The winery produces a million and a half liters per year. The white I tasted is blended from Cardinal and Chardonnay grapes, contains 12 percent alcohol, and costs $4.50 a bottle (although hawkers near resort regions may try selling it for $20 a bottle). It tastes like a tart Chenin Blanc. Apparently the Cardinal grape makes raisins in the United States and Europe, but is suitable for making wine in Vietnam and Thailand. 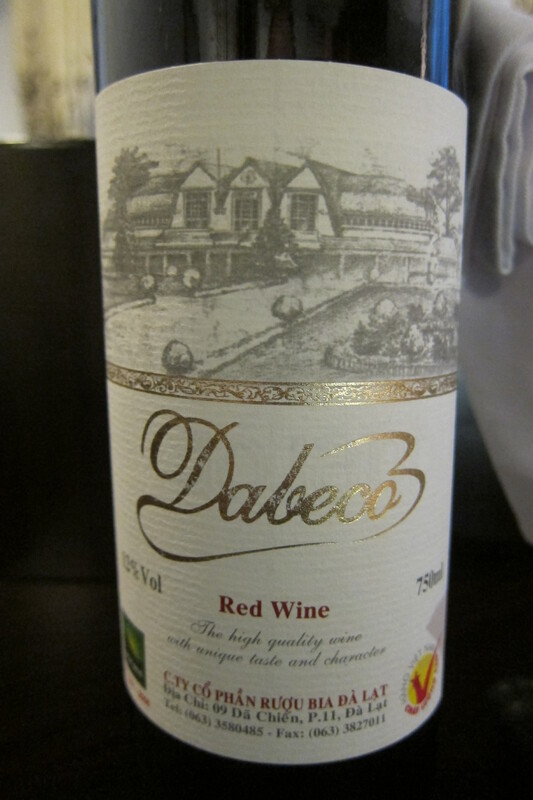 For Christmas eve, before hitting a heavier red, I would not hesitate for a moment to open another bottle of Dabeco red. Sounds fascinating Tom, would love to try some of the more unusual grape varieties. 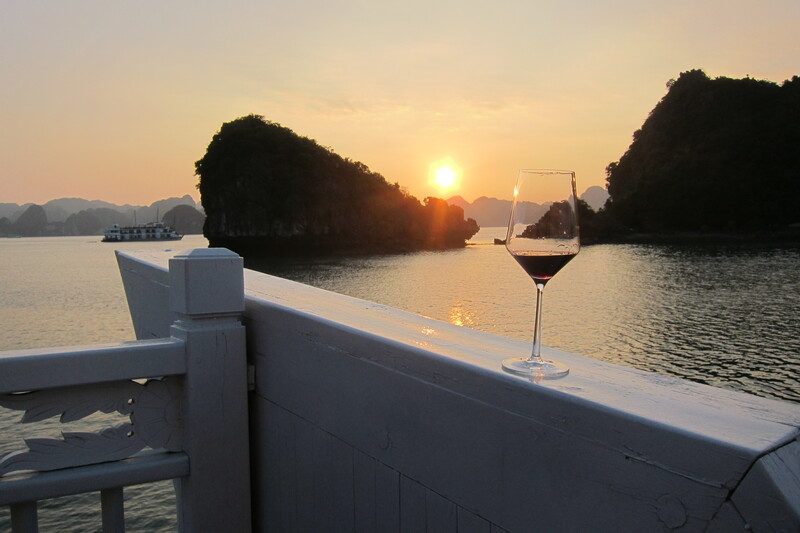 It makes sense that grapes + Vietnam would equal some good wine with the French influence and the climate. 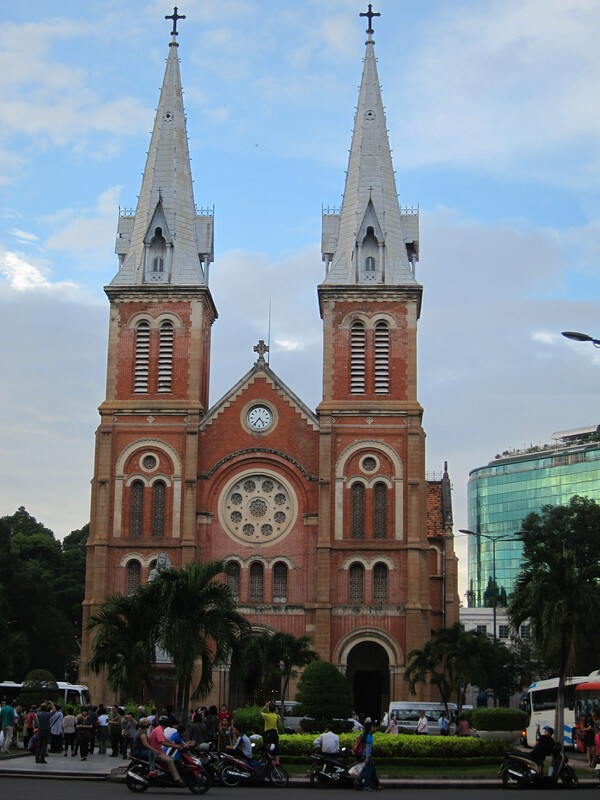 Your post is also a great travelogue – brings back lots of memories in my travels through Vietnam. Must go back and try the wine! Merry Christmas to you also. Hi Chrissie – Enjoy your down-under wine sampling during your holiday trip! I bought a bottle of Australian Penfold’s Shiraz as wine for Christmas day. Delicious. I suspect some unusual grape varieties are being in tucked away vineyards near where you live on the riviera…you’ll likely be an expert on some of these within a few years. Looking forward to more of your informative posts in the New Year! Interesting combination of grapes. Sounds refreshing and always nice to try something new. Yeah, I had not heard of these other grapes before. The red was delicious, the white was questionable. But Vietnamese wine? Who’d have thought of it? Then again, considering the French were the ones who spent decades here, no wonder Vietnam has a wine history. Another legacy left by the French in this country – their pastries – amazing! Happy Holidays in Vietnam Tom! Thanks Lisa! And I enjoyed our travels in Asia together…enjoy the holidays in Davis wine country with Brit, Jessica, and Texas.